In partnership with city government of Balikpapan, Indian Embassy organised an India Culture Week in Balikpapan from 9-16 February. The inaugural activity showcased a series of Indian cultural dance performances, put together by artists from the JNICC, at Balikpapan City Plaza on 10th< February forenoon. 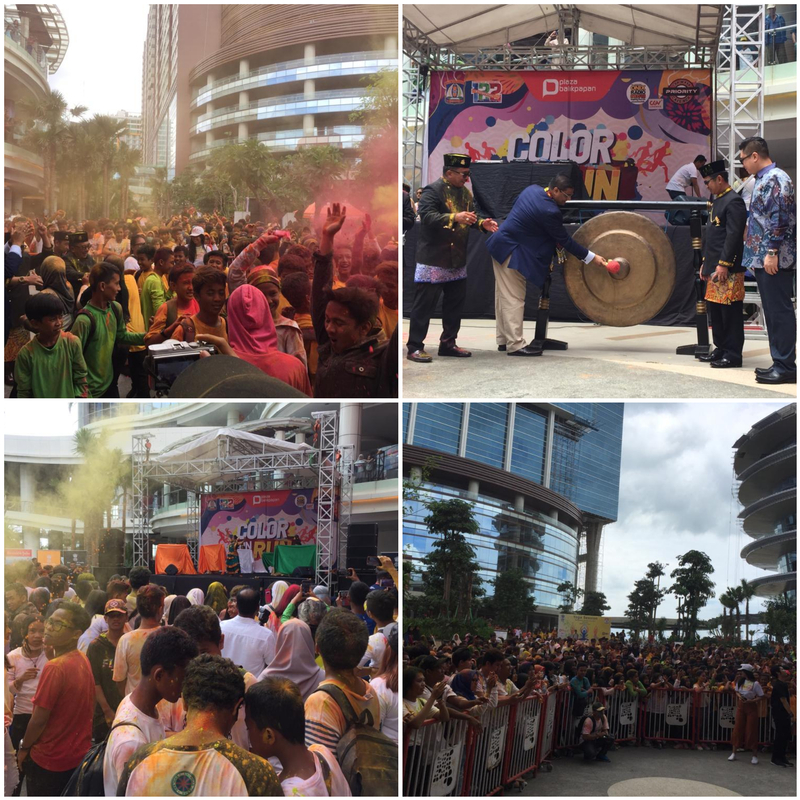 Entire city leadership, including Mayor and Vice Mayor graced the opening ceremony and witnessed the Indian cultural dance performances, which coincided with Annual Colour Run held in the city. The performance was organized by Embassy of India as part of the India Culture Week in Balikpapan from 9-16 February 2019. The India Culture Week (ICW) will showcase different facets of arts, culture, music, dance, food, Yoga and Bollywood films spread over an entire week. It is expected that the week-long events planned under the India Culture Week would facilitate a better understanding and appreciation of India in the hearts and minds of Balikpapan residents.